When talking to my clients who are looking to improve their teeth with adult braces, I am often surprised with the impact that their misaligned teeth have on their lives. While your self confidence makes a huge difference in your personal and professional life, braces for adults City of London are increasing in popularity and helping thousands of people in the UK with self esteem. The increase in availability and development of new, more subtle products, now offer a solution to professional adults looking for braces. Braces are no longer metal strips but are specifically designed braces for adults. The science of orthodontics has developed to where tacky, uncomfortable braces are a thing of the past. Braces for adults City of London are a fantastic new way to get the smile you want, comfortably and with minimal affect to your life. Braces are no longer seen as ‘a teenage treatment’ with thousands of adults investing in braces all over the world. With the new technologies and advancements in adult braces there are lots of options for you to get the brace and the teeth you have always wanted. Why is there a sudden increase in treatment for braces with adults? As we talk to our clients more, they often missed the chance of getting braces before the age of 18 because of family circumstance and income. We find that an increased number of adults rely on one to one meetings and first impressions in advancing their career and feel that straightened teeth will not only give them a better first impression but also the self-confidence to progress professionally. 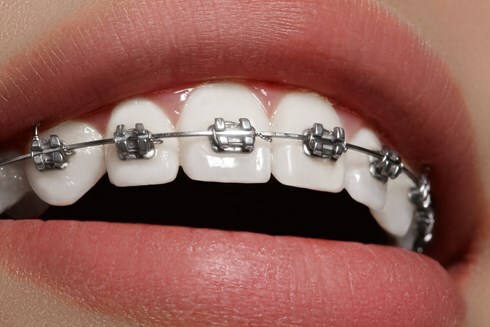 Many people think of braces only for the straightening of the teeth. Crooked teeth is not just a cosmetic matter, misaligned teeth can increase the chance of headaches, jaw pain, neck pain and gum disease. This does not only have to do with the straightness of your teeth but also the overbite. Overbites affect the way your mouth functions so an important advantage to getting an adult brace.